Though an inspiration to artists such as Claude Monet, Camille Pissarro and Vincent Van Gogh, Daubigny is now relatively unknown. Until this year he has never been the subject of a major international exhibition, and no exhibition has previously examined Daubigny’s profound influence upon the Impressionists and in turn their influence on his late style. 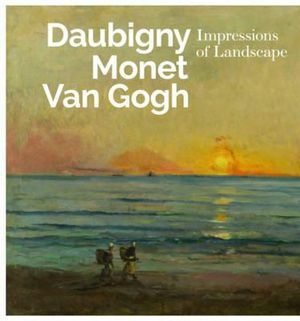 Co-organized by the Taft Museum of Art, the Scottish National Gallery and the Van Gogh Museum, Daubigny, Monet, Van Gogh: Impressions of Landscape revises our understanding of the origins of Impressionism by reconsidering Daubigny as a central figure in the development of 19th-century French landscape painting, including Impressionism. The groundbreaking exhibition will be on view at the Taft Museum of Art in Cincinnati, Ohio, the sole U.S. venue, from Feb. 20 through May 29, 2016. It will travel to the Scottish National Gallery in Edinburgh and the Van Gogh Museum in Amsterdaml ater in 2016 and in early 2017. 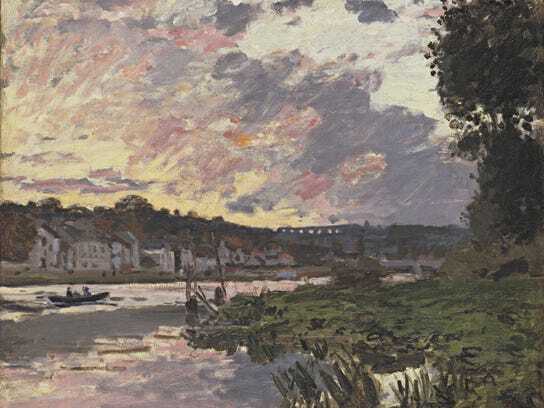 In addition to one of the Taft’s Daubigny paintings, which prompted the exhibition, Daubigny, Monet, Van Gogh: Impressions of Landscape will also feature spectacular loans from numerous North American and European museums—including the Art Institute of Chicago; Montreal Museum of Fine Arts; National Gallery, London; Museum of Fine Arts, Bordeaux; Scottish National Gallery, Edinburgh; Van Gogh Museum, Amsterdam—and private collections. Of the 55 paintings in the exhibition, approximately 40 masterpieces by Daubigny will showcase the full range of the artist’s achievements over four decades, including both small easel paintings created outdoors and grand-scale paintings completed in the studio for exhibition. The remainder of the works on view will offer ascinating and often surprising comparisons with Impressionist and Post-Impressionist paintings by Claude Monet, Camille Pissarro and Vincent Van Gogh, revealing Daubigny’s impact on and importance for two subsequent generations of artists, the Impressionists and the Post-Impressionist Van Gogh. “This exhibition stakes a claim for Daubigny’s inadequately recognized achievements as a powerful innovator and precursor to one of the most original art historical movements of all time,” said Lynne Ambrosini, Director of Collections and Exhibitions and Curator of European Artat the Taft Museum of Art. Ambrosini is the initiating curator (and one of five curators) of the exhibition. In the vanguard of artists who privileged and embraced the immediacy of open-air painting, Daubigny invented the studio boat and was the first to paint views surrounded by water instead of from the riverbanks. 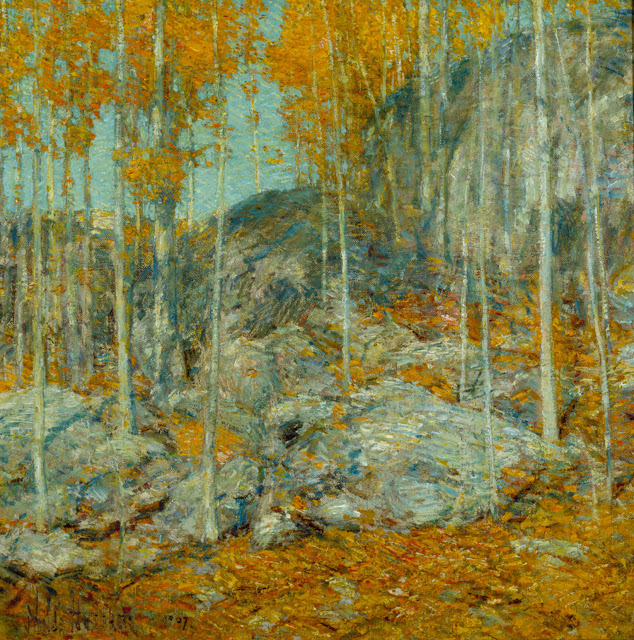 This pioneering compositional technique of stripping away conventional foregrounds to more directly observe nature and capture the effects of light, as well as his radically unfinished painting style and brighter palette, had a powerful influence on the young Impressionists. 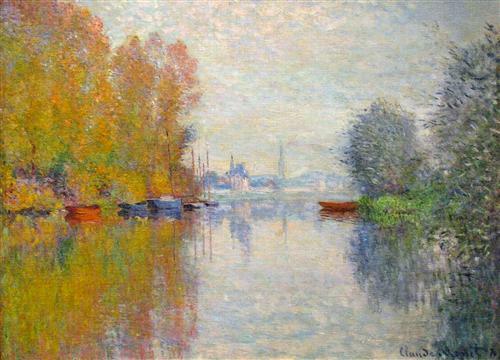 Monet’s Autumn on the Seine, Argenteuil, (1873, High Museum of Art, Atlanta, Georgia), which was painted from Monet’s emulative studio boat. 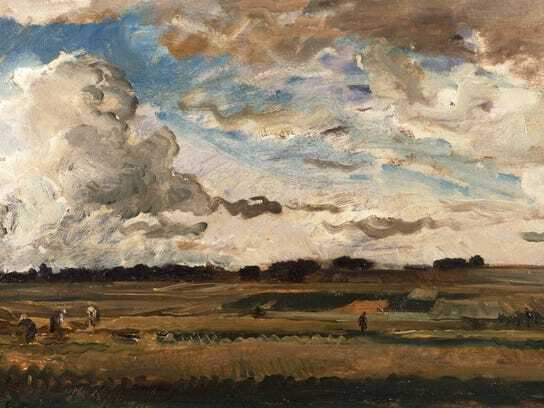 Daubigny’s panoramic views of the sunny grain-fields near Auvers were admired by Van Gogh, who adopted Daubigny’s then famous double-wide canvas formats for his own pictures of the plains near Auvers. which exhibits Van Gogh’s signature swirling intensity. From relatively humble beginnings in Paris, Daubigny rose over the course of a long and eventually acclaimed and successful career to help redefine French landscape painting. As a teenager he worked at the Louvre restoring paintings and subsequently began studies with artists Pierre-Asthasie-Théodore Sentièsand Paul Delaroche. 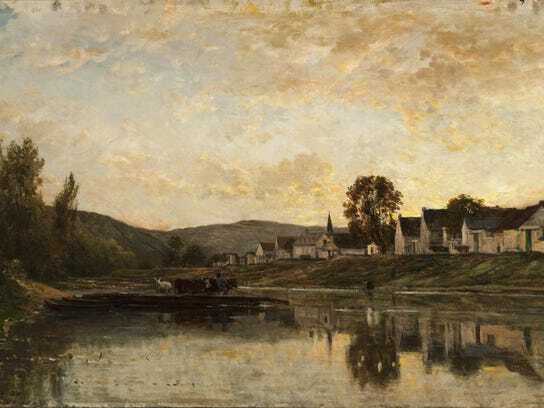 Daubigny’s travel to Italy and extensive working trips in France inspired his rural and river views of his country, which were exhibited and recognized at the annual Salons along with compositions by his peers, including Camille Corot, Gustave Courbet, Théodore Rousseau and Jean-François Millet. A fully illustrated176-page catalogue presenting significant new research about early Impressionism, Daubigny and Van Gogh by leading scholars in the field will accompany the exhibition. Essayists include the Taft’s Lynne Ambrosini, with two essays on Daubigny’s legacy andonthe market for his landscapes; Michael Clarke, Director of the Scottish National Gallery, who explores Daubigny’s river scenes; Maite van Dijk, Curator of Paintings, Van Gogh Museum (VGM), on Daubigny and Impressionists in the 1860s; Frances Fowle, Senior Curator of French Art, Scottish National Gallery, who considers Auvers-sur-Oise as a site of artistic production; Nienke Bakker, Curator of Paintings, VGM, who examines Van Gogh’s admiration of and responses to Daubigny; and René Boitelle, Senior Paintings Conservator, VGM, on Daubigny’s late painting techniques. 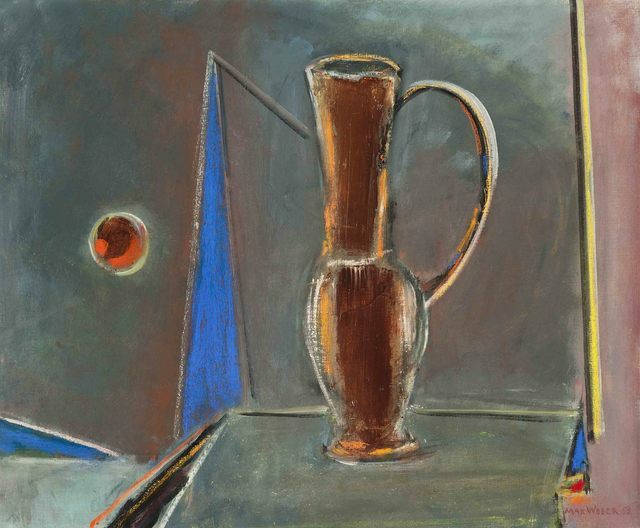 The catalogue will be published by the National Galleries of Scotland and distributed by ACC Distribution, USA and UK. Charles François Daubigny, The Beach at Villerville at Sunset, 1873, oil on canvas. Chrysler Museum, Norfolk, Gift of Walter P. Chrysler, Jr. This groundbreaking exhibition, organized by the Denver Art Museum (DAM), features more than 100 works created by Andrew Wyeth and his son Jamie Wyeth in a variety of media including pen and ink, graphite, charcoal, watercolor, dry brush, tempera, oil and mixed media. Never before has an exhibition displayed Andrew Wyeth's and Jamie Wyeth’s work on this scale and in the shared context of their autobiographies, studio practices and imaginations. 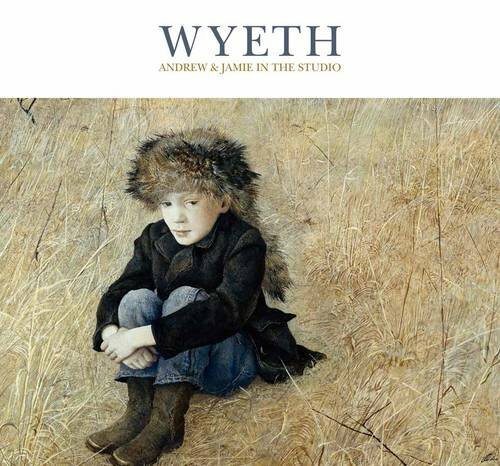 Whether you are new to the work of Andrew and Jamie Wyeth or are familiar with it, this exhibition will allow you to see their art converge and diverge over the years as it explores the connection between two American artists who shared artistic habits of mind while maintaining their own unique artistic voices. Jamie Wyeth, Kleberg, 1984. Oil on canvas; 30-1/2 x 42-1/2 in. Terra Foundation for American Art: Daniel J. Terra Collection, 1992.184. 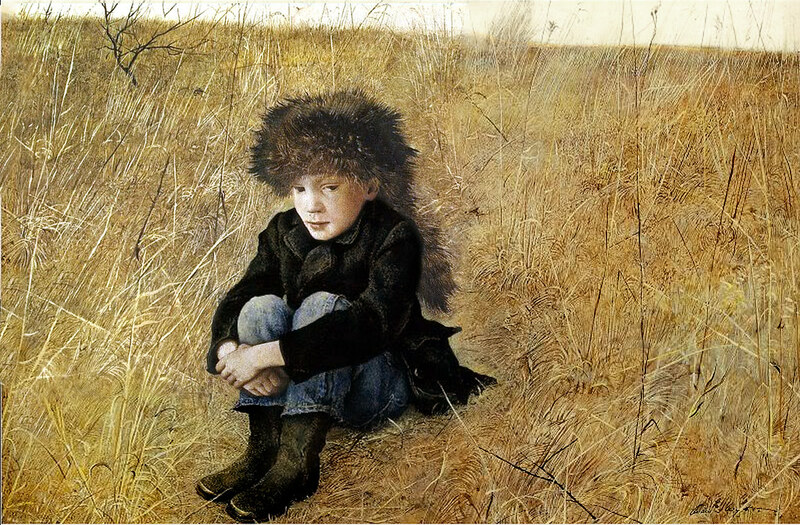 © Jamie Wyeth. An exhibition catalog, published by the DAM in association with Yale University Press. This groundbreaking publication takes a novel approach in exploring the Wyeths’ working methods and processes. Author Timothy J. Standring also provides the reader with a rare personal glimpse into the artists’ world by chronicling his visits to their studios in the Brandywine Valley and Midcoast Maine over the course of four years. With over 200 color illustrations showing works in a variety of media—including pen and ink, graphite, chalk, watercolor, dry brush, tempera, and oil—this handsome book situates each artist’s oeuvre in the context of their shared biographies, place, and artistic practices. Jamie Wyeth, Portrait of Lady, 1968. Oil paint on canvas; 36 x 63-1/2 in. Alexander M. Laughlin Family Trust. © Jamie Wyeth. 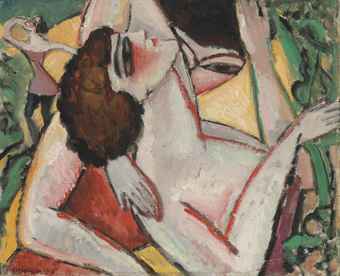 After closing Feb. 7 at the DAM, a selection of works from the exhibition will travel to the Museo Thyssen-Bornemisza in Madrid, Spain. 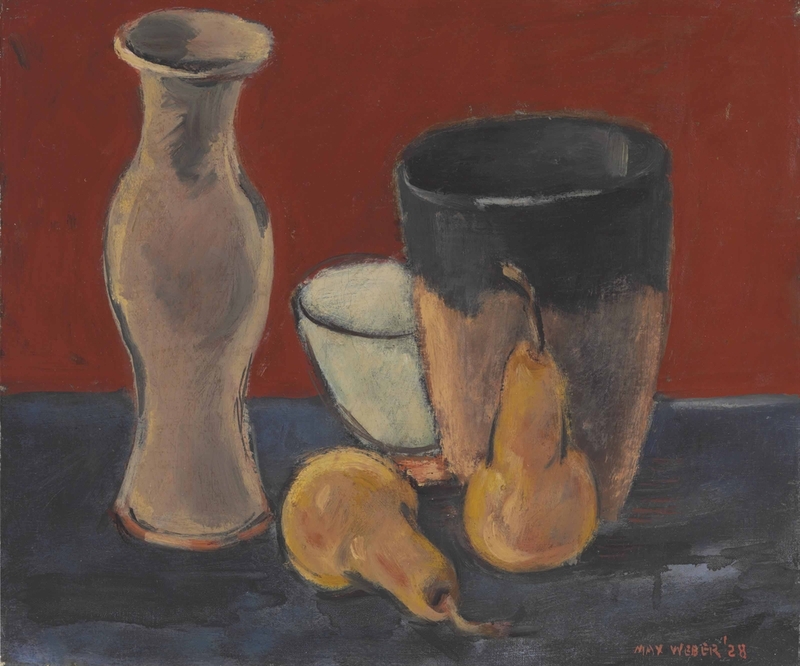 Visitors will have the opportunity to learn about the work of these two father and son artists, their lives and creative abilities through more than 60 works loaned from public institutions and private collections, some of them never previously exhibited in public. Curated by Timothy Standring, curator of painting and sculpture at the Gates Foundation of the Denver Art Museum, the exhibition will also reveal how the respective work of these two artists has on occasions assumed parallel directions, with each enriching the other or generating mutual challenges. The large number of loans generously offered from the private collection of Andrew and Betsy Wyeth and that of Jamie Wyeth has allowed the curator to devise a comprehensive exhibition that includes major works by Andrew Wyeth (1917-2009) and Jamie Wyeth (born 1946), from all the periods within their careers. Explore the renaissance of etching from the late 1850s through the turn of the century in Europe and the United States with the new Cincinnati Art Museum exhibition The Etching Revival from Daubigny to Twachtman, on view February 13–May 8, 2016. Featuring more than 100 monochromatic prints from dozens of artists, the exhibition also includes a wood etching press from the early 1900s, along with plates and tools used to create the etchings. Etching is one of the first original art movements in America and it played an important role in developing the public’s aesthetic appreciation of the graphic arts. Etching involves using a substance to bite into metal surfaces with acid in order to create a design. Etching was attractive to painters because it allowed them to capture the fleeting effects of nature rapidly with freedom and spontaneity. The process coincided with artist’s desire to work directly from nature, to sketch en plein air to create landscapes and seascapes. Cincinnatians featured in the exhibition include early etching practitioners Mary Louise McLaughlin, Henry Farny, Lewis Henry Meakin and John Twachtman. Working abroad in the 1880s, Covington, Ky.-born Frank Duveneck and his students, known as the "Duveneck Boys,” pursued etching in Venice with James McNeill Whistler. Some of Duveneck’s gifts will also be featured in the exhibition. The Cincinnati Etching Club, the second etching club in America after the New York Etching Club, was founded in 1879 and actually gifted a group of prints to the Art Museum in 1882. These etchings were among the first pieces of art acquired by the Art Museum. The American Etching Revival was inspired by the earlier French and British mid-century etching revivals by Barbizon artists, such as Charles François Daubigny, Camille Corot, and Jean-François Millet, who made preparatory drawings for etchings out of doors to capture natural landscapes and romanticized scenes of peasants at work at the time of the industrial revolution. The etchings of Whistler and Sir Francis Seymour Haden influenced the next generation of artists. 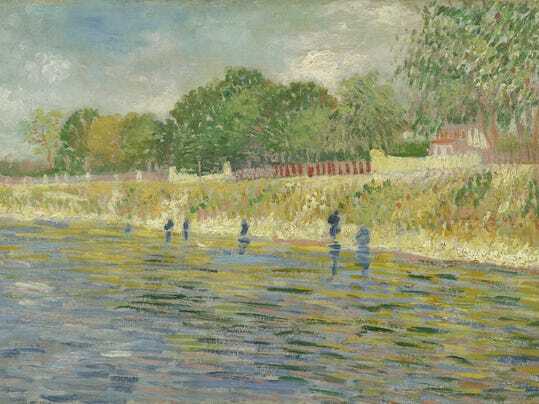 In 1862, the Society of Etchers organization in France inspired a new generation of independent etchers including Edouard Manet, Charles Meryon, and Maxine Lalanne, and Impressionists Edgar Degas and Mary Cassatt. The success of this movement was fostered in both Europe and America by publishers, artistic printers and critics. The Etching Revival from Daubigny to Twachtman coincides with the Taft Museum of Art’s exhibition, Daubigny, Monet, Van Gogh: Impressions of Landscape (February 20 – May 29, 2016). 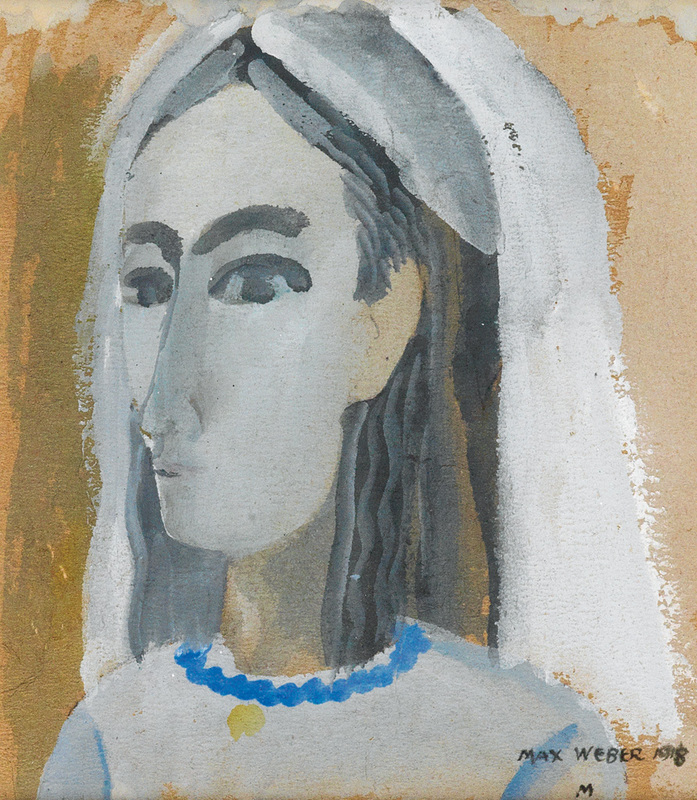 Woman with a White Veil. 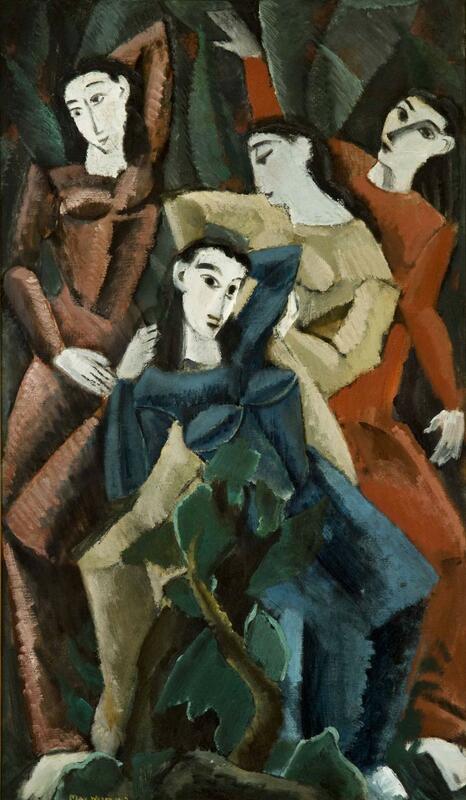 Max Weber Four Figures (Sisters) c 1912. The Florence Griswold Museum in Old Lyme, Connecticut, presents an innovative exhibition that uses a digital twist to highlight Connecticut’s role in shaping the history of American landscape painting over the past two centuries. The Artist in the Connecticut Landscape borrows the notion of the online keyword searches and organizes the 76 artworks into categories that cut across traditional chronology to illuminate the complex ways in which we find meaning in the Connecticut landscape. The Artist in the Connecticut Landscape marks the completion of an expansive project, funded by the National Endowment for the Arts, to contribute over 400 digital images of fine art to a decade-old collaborative digital library of over 15,000 drawings, prints, maps, and photographs depicting historic images of Connecticut. Re-launched in 2015 as Connecticut History Illustrated (connecticuthistoryillustrated.org), the virtual library offers a platform for searching across media and institutions to discover cultural treasures. 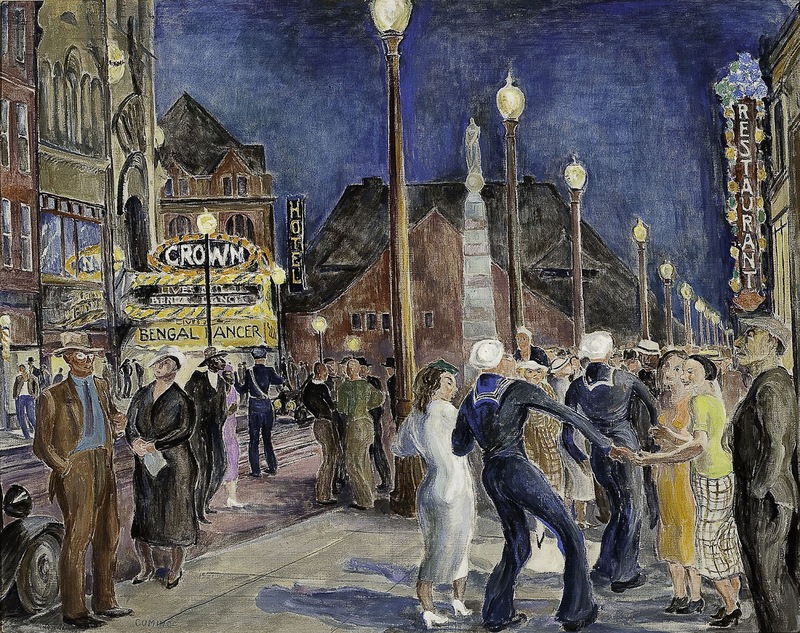 This exhibition draws from the collections of ten partner institutions to present some of the most renowned depictions of Connecticut in art from the eighteenth to the twentieth centuries. The works are from the collections of the Connecticut Historical Society, the Connecticut State Library, the Florence Griswold Museum, the Lyman Allyn Art Museum, the Mattatuck Museum, the Mystic Arts Center, Mystic Seaport, the New Britain Museum of American Art, the Slater Memorial Museum, and the Wadsworth Atheneum. 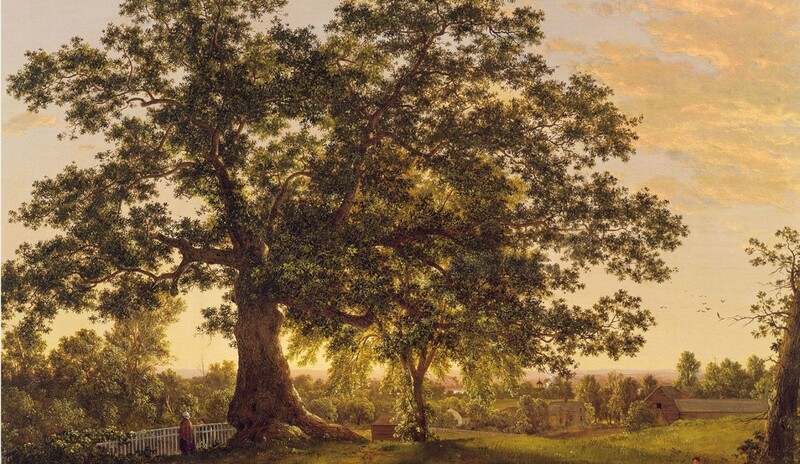 By drawing on fine art collections from around the state, the exhibition reveals the surprising diversity of Connecticut’s landscape and the art that records it. 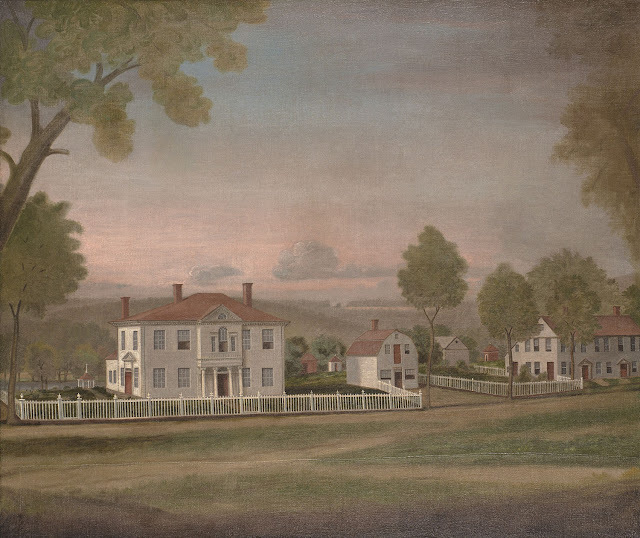 Paintings of Connecticut’s terrain reflect a balance between rural scenery and urban vitality characteristic of a state whose small borders encompass a range of environments, from secluded woods, to clapboard barns, to towering smoke stacks, to panoramic shores. Inspired by the digital library, The Artist in the Connecticut Landscape divides the paintings into eleven thematic categories that match keyword searches people might apply to the Connecticut landscape. The categories vary from colonial and countryside to factories and forest. As part of the exhibition planning, audience input on how various works of art should be categorized within the exhibition was sought through the Florence Griswold Museum’s social network. 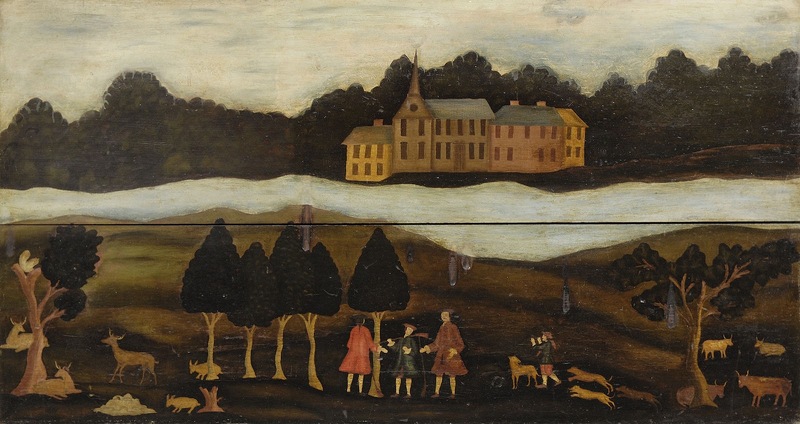 is thought to be the earliest painting of the Connecticut landscape in North America. 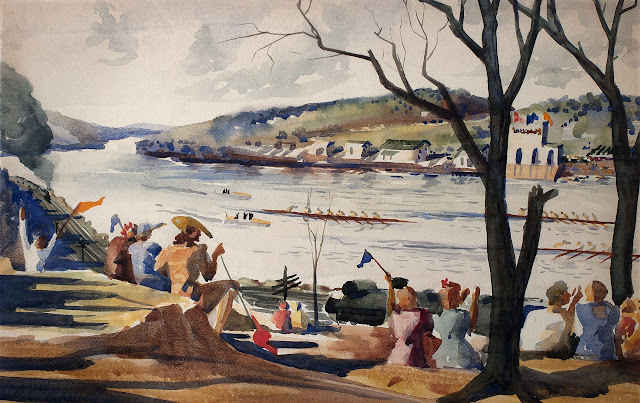 Haddam is part of the “Colonial” section of the exhibition and adapts the conventions of leisurely British sporting scenes to the landscape surrounding the artist’s home on the banks of the Connecticut River. Also in this section are early-twentieth-century landscape paintings from some of the state’s art colonies, an example of the way that a keyword like “colonial” can bring materials together in surprising ways. Categories or keyword searches such as “Roads,” “Factories,” or “Towns” bring up depictions of Connecticut’s towns and cities reflecting the growth of population and the hustle and bustle of commerce and manufacturing along streets and waterfronts. shows the 1823 truss bridge designed and patented by the New Haven architect Ithiel Town. The bridge had a 114-foot span crossing the Mill River between Hamden and Cheshire, Conn., in an area then called Whitneyville. Durrie included narrative elements in this landscape, showing the architect comparing the bridge to a sketch in his hands. is placed in the “Forest” category and explores how artists at the turn of the twentieth century hoped to immerse themselves in the beauties of nature as an antidote to urban life. The Artist in the Connecticut Landscape offers audiences a chance to appreciate the breadth of scenery found in every corner of the state. 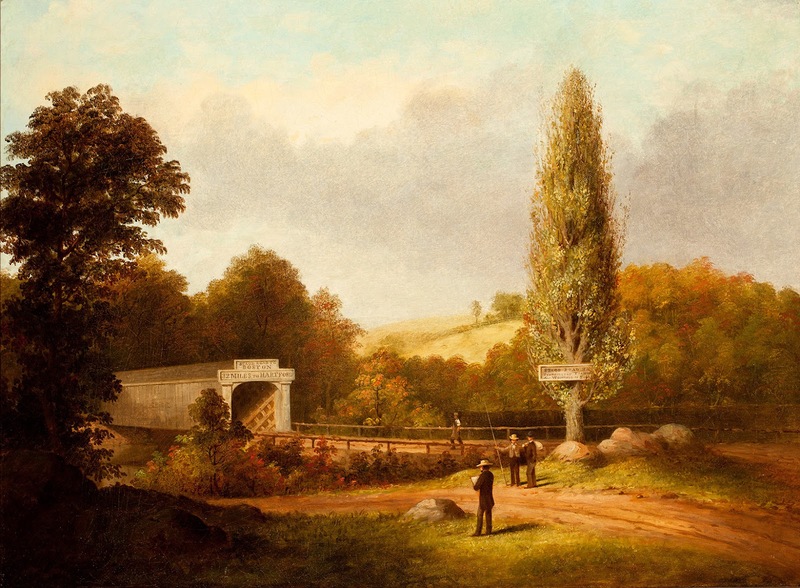 The landscapes represented in the exhibition are treated as windows into the time and place of their creation, unlocking for contemporary visitors the shifting uses and meanings of Connecticut’s landscape over two hundred and fifty years. Combined with the photographs, maps, and other documents available on Connecticut History Illustrated, which visitors can peruse on a gallery kiosk or later at home, audiences will be able to consider their own perspectives on Connecticut’s landscape. Founded in 1936, the Florence Griswold Museum in Old Lyme is a center for American art accredited by the American Alliance of Museums. In the early years of the twentieth century, the Museum’s site and grounds served as the center for the Lyme Art Colony, one of America’s most famous art colonies. The recipient of a Trip Advisor 2014 Certificate of Excellence, the Florence Griswold Museum has been called a “Giverny in Connecticut” by the Wall Street Journal, and a “must-see” by the Boston Globe. With an eye toward the integration of art, history and landscape in all that it does, the Museum has spent the last decade redefining itself as a central part of community life with an award-winning exhibition gallery for its collections and a thorough reinterpretation of its landmark Florence Griswold House as a boardinghouse for artists, c. 1910. Visit FlorenceGriswoldMuseum.org for more information, including history, events and hours of operation.